India is one of the cheapest places to go backpacking for. The tourism is continually rising but even today there are places where you can get accommodation at 100 rupees a day. This only makes India a preferred destination among backpackers. The three basic requirement clothing, shelter and food are absolutely manageable and easily affordable here. For these practical reasons and also owing to the huge publicity it receives as being a land of rich culture, heritage and traditions, India easily lures hundreds of backpackers every year. India is a huge country. Not just in size but also from tourism point of view. If you decide to explore the entire nation you would probably have to come back every year for the rest of your life. Culture wise India is very rich and multifaceted. To understand the lifestyle and people here one needs to invest time, money and emotions. There is such a huge contrast in people, language, dressing and values within the same country that most people feel lost yet attached to this place. Many backpackers come here for spiritual gains. They go and stay in Rishikesh or any other Himalayan settlement and probably never return from there. Some who like to have a feel of all the sides of India design itineraries that cover all the four direction of the country. Backpacking in India for foreign tourists is a cheap affair. Traveling takes time but each journey is a learning experience, a peek into yet another aspect of Indian culture. Depending on what whether you are visiting India you can choose your destination accordingly. Or Vice Versa where you want to go and what's the temperature like. Either ways knowing the temperatures makes your trip a lot less hassle. These are a few names mentioned for backpackers to explore. But it does not end here. The options are endless. The capital city New Delhi has an extreme climate. Summers are long and hot, winters last 3-4 months and are very cold. It doesn't snow here but the temperatures go as low as 0 degrees. As far as tourist attractions go Delhi is a huge city and has many types of entertainment activities for everyone. It also offers adventure sports and great sight seeing places. Delhi is an urban city with shopping malls and star rated hotels. The culture is cosmopolitan and can suit even foreigners. Delhi is also a city of thugs where you never know who might con you. So when here give priority to your safety. Other things to do while here are shop at Janpath or Rajori bazaar, eat at chandni chowk or paranthe wali gali or see the red fort or India gate. Mumbai climate is humid due to the sea. It never gets too hot or too cold here. Monsoons come earlier here and end late. Mumbai is the commercial hub of the country. It is cosmopolitan and absolutely a tourist's favorite. There are many excursions from Mumbai like Ajanta and Ellora caves, Aksa Beach, Pune etc. In Mumbai you can visit the famous siddhi vinayak temple, shop at linking road, Crawford market or Fashion Street. Take a taxi ride on the Bombay-worli sea link or enjoy the chatpata food of Juhu Chopati. Summers here are humid and temperatures exceed 40 degrees. Winters are short but extremely chilly and rainfall is moderate. Calcutta is a land of artists, literati and revolutionaries. It also has rich spiritual wealth. There is a strong influence of Romans, British and Moghuls. There are many historical monuments of tourist attractions and several adventure activities that you can indulge in. The China town, Howrah Bridges, tiffany's pub is very famous here. Calcutta is also place where coffee-houses are quiet an old trend. Shimla is a cold place and has moderate warm weather. Snowfall occurs in December. The places to see in Shimla are the summer hill, Annadale, Christ church, Kufri, Kasauli and many more. There are hostels in shimla especially for backpackers. You can go trekking and camping in the Shimla Hills. You can also shop for handmade shoes, dolls, woollen caps, carved wooden sticks, toys in the Shimla Mall. Here is a master list things which you can refer to if you plan for a backpacking trip. These few essential things can make your backpacking trip very easy. • A route map which gives you locations of petrol pumps and toll booths. But this is a personal choice as backpackers generally like to discover places as and when they reach there. A big marker to keep a check on the places covered or any important notes to make. Lots of plain paper and cardboards and paper clips. • Keep a small foldable umbrella with you. A large towel, toiletry, liquid peppermint soap, toilet paper, deospray. • A sleeping bag, waterproof compression sack. • Warm clothes: 3-4 t-shirts, lots of socks and under garments, a jacket, wind cheater, warm woolen leggings, 2 pairs of jeans, sneakers, flip flops, chewing gum, peppermints, water bottle, drinks, books, pack of cards. • Torch, camera, iPod, CD player. THRILLOPHILIA deals with adventure-related activities on a pan-India level. Be its Rafting in the Tons or in the Kali River at Dandeli, Camel Safari in Ladakh or in the Thar Desert, Trekking around Bangalore or Ladakh, Scuba Diving in Lakshadweep or Andaman, we cater it all. We also have some fabulous Biking trips, Caving, Wildlife, Paragliding and many more adrenaline pumping adventure sports. India, having varied landscapes happens to be one of the finest destinations in the world for adventure. Are you thinking of going to Borneo? A Borneo Malaysia vacation offers endless excitement for wildlife adventures and awesome scenery on the world's third largest island. The island is home to exotic and endangered species such as orangutans, pygmy elephants, proboscis monkeys, tarsiers and other wild animals. Tropical rainforests are dense entanglements that give cover to wild animals. Unlike an African safari, where the open Savannah easily exposes large groups of wildlife, observing wild creatures in Malaysia takes a bit more effort. But that's also part of the fun. The states of Sarawak and Sabah make up Malaysian Borneo or East Malaysia. The two key gateway cities are Kuching and Kota Kinabalu. Here are some of the parks and sanctuaries to visit for the best chance to see some of Asia's most endangered species and a diversity of wildlife not found elsewhere in the world. Kinabatangan Wildlife Sanctuary - Take a ride on the Kinabatangan River for a wildlife outing in one of Malaysia's best nature experiences. If you're lucky you can observe Asian pygmy elephants grazing along the river bank, long-nosed proboscis monkeys sitting in treetops, hornbills and kingfishers flying by and enjoy this easy floating safari. Tabin Wildlife Reserve - As a primary rainforest, this wildlife reserve protects important habitats for many of Malaysia's large mammals - elephants, rhinos, orangutans.For birdwatchers, hundreds of species are found in the jungle and swamplands, including hornbills, owls and eagles. Take a night safari to enjoy the sights of wild animals on the prowl. And don't forget to visit the mud volcano during the day for a splash in the muddy pools. Sepilok Orangutan Sanctuary - If you want to see orangutans up close, then do not skip a trip to this lowland rainforest reserve famous for rehabilitating former pet animals into wild residents. Walk on the boardwalk through towering tropical trees to observe these wonderful endangered primates that are under threat from deforestation and conflicts due to the expansion of plantation agriculture. Go to Sepilok for a once-in-a-lifetime chance to view one of the planet's most interesting species. Sipadan Island - For those seeking an underwater adventure, Sipadan is rated as one of the world's best dive spots. 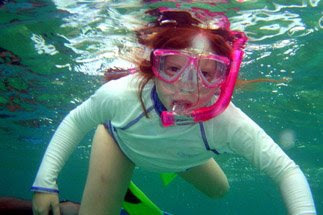 An unending parade of marine biodiversity displays everything from schools of barracuda to reef resting green turtles. Nature explodes with diverse coral structures and a technicolor panorama of triggerfish, anemones, sea fans and angelfish... just for starters. As Malaysia's only oceanic island, a vertical cliff descends 600 meters to showcase an encrusted sea wall of plant and animal life. Turtle Islands Park - Protecting the traditional landing and nesting grounds for Green and Hawksbill turtles, a visit to the park offers a chance to observe these ancient mariners returning to shore to start the next generation. Learn about the plight of sea turtles and local conservation efforts to save them from extinction. Danum Valley Conservation Area - A research center amid some of the best lowland rainforest in Asia, Danum Valley is a trekker's paradise for birdwatching, wildlife observation and nature photography. If you want to get a real feel for the jungle, head over to Sabah and spend a few days on the forest trails. Bako National Park - If you go to Kuching, this park is just a few hours away for a great day trip to see a spectacular coastal reserve. A mixture of mangrove swamps, sandstone cliffs and seaside forests, wildlife abounds with proboscis monkeys, pit vipers, flying lemurs and other wild creatures. Enter the park from the sea and capture the gorgeous scenery of this pristine habitat. Gunung Mulu National Park - Rugged limestone formations surrounded by dense tropical rainforest provides for fantastic scenery outside and cave exploration inside. Watch millions of bats emerge at dusk from some of the largest cave chambers in the world or trek through the jungle to mountaintops to explore the unique blade-sharp Pinnacles rising from the forest floor like daggers. Niah National Park - Gigantic caves are home for millions of bats that exit each night to forage on hoards of insects, while swifltlets make edible nests on cave walls. Jungle trails traverse through lowland and hill rainforest to expose an assortment of wild animals such as monkeys, monitor lizards, flying lizards, hornbills and other rainforest birds. Batang Ai National Park - Located in pristine interior jungles next to a wildlife sanctuary, the park is an oasis of wildlife set against a lake reservoir formed by a hydroelectric dam. Orangutans, gibbons and hornbills provide good opportunities for wild sightings in excellent rainforest habitats. Visitors can also learn about traditional Iban lifestyles by spending time in a longhouse and going into the jungle with an Iban guide. Living in Malaysia, Rick Gregory explores the jungles, tropical islands and rainforest habitats of the country and showcases these great nature vacation destinations on his website Nature Escapes. Discover more information on great Borneo vacation getaways.